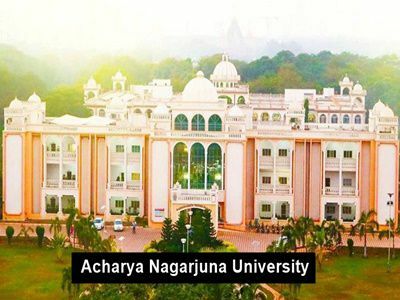 ANU Degree Instant Exam Notification 2018: Acharya Nagarjuna University Applications are invited to appear for Instant Examination from the students of B.A.. B.Com. (Res./Voc. )., B.Sc., B.B.M and B.C.A. Courses under Semester System of CBCS pattern, from those who have passed all the subjects in all years except one theory paper in V Semester and one paper in VI Semester examinations of 2015-2018 batch only (Y15 batch). Eligible candidates may submit their applications to the Principal of the College concerned along with an online challan A/c No.30908794589 for the prescribed fee and photocopies of marks statements of all years on or before 31.05.2018. The Principals of the Prakasam District Colleges arc requested to receive the applications from students and submit the consolidated lists of the students appearing for Instant Examinations. along with the online Challans at C.S.R. Surma College, Ongole on 01.06.2018 for onward transmission to the University. The Principals of the Guntur District Colleges are requested to submit the consolidated list of the students appearing for Instant Examinations, along with the online Challans at ANU CITY CENTRE, Guntur (A.C. College of Law Campus. Guntur), Phone No. 0863-2222382. 3. Time of Examination for 5th and 6th Semesters 10.00 A.M. to 1.00 P.M. The candidates shall collect their Hall Tickets from the Examination Centers at the respective Instant Examination Centers one day -before the conduct of Instant Examination i.e. 01.06.2018 from 10.00 A.M. on wards.